Forensic research. 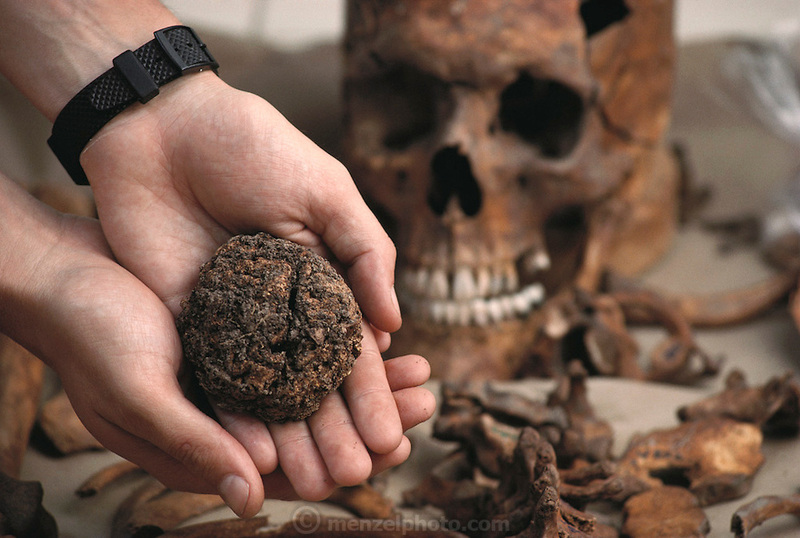 (1992) Hand holding a mummified brain during forensic research. The researchers are trying to determine the identity of the body by extracting and studying DNA. DNA (deoxyribonucleic acid) is the chemical responsible for heredity, and is different in each individual. These are the remains of someone abducted and murdered during the military rule in Argentina between 1976 and 1983. Buenos Aires, Argentina. DNA Fingerprinting. .